Woodford Reserve tells BourbonBlog.com that they will release a limited edition Master’s Collection which will hit stores in early November 2013. The Double Malt Selections – Straight Malt Whiskey and Classic Malt – are the first fully matured whiskies crafted from malt in Kentucky since Prohibition. Uniquely triple distilled in Woodford Reserve’s copper pot stills, the Straight Malt Whiskey and Classic Malt are two separate 750ml bottles which are individually numbered and presented at 90.4 proof. This special bottle is inspired by the copper pot stills of the Woodford Reserve Distillery. These will be available in major metro markets throughout the United States and select international locations, limited quantities are available at a suggested retail price of $99.99 per bottle. The inspiration for the Master’s Collection is rooted in the rich history and tradition of what is known today as The Woodford Reserve Distillery. The mid-1800s Master Distiller James Christopher Crow and distillery owner Oscar Pepper brought new insight to the spirits industry by studying the differences between aged-cask and new-cask maturation. Prior to their work, there were no rules governing the charring of casks or about the use and re-use of casks. Additionally, whiskey is presented globally in a range of flavor profiles typically described as either Old World or New World in style. Old World whiskeys such as Scotch and Irish typically have a grain-focused flavor profile and are matured in used barrels, while New World expressions such as Bourbon and Tennessee whiskeys highlight the impact of new cask maturation. With the Straight Malt Whiskey matured in new barrels and Classic Malt matured in used barrels, the offerings afford a rare opportunity for a side-by-side barrel style comparison featuring Old World versus New World styles. 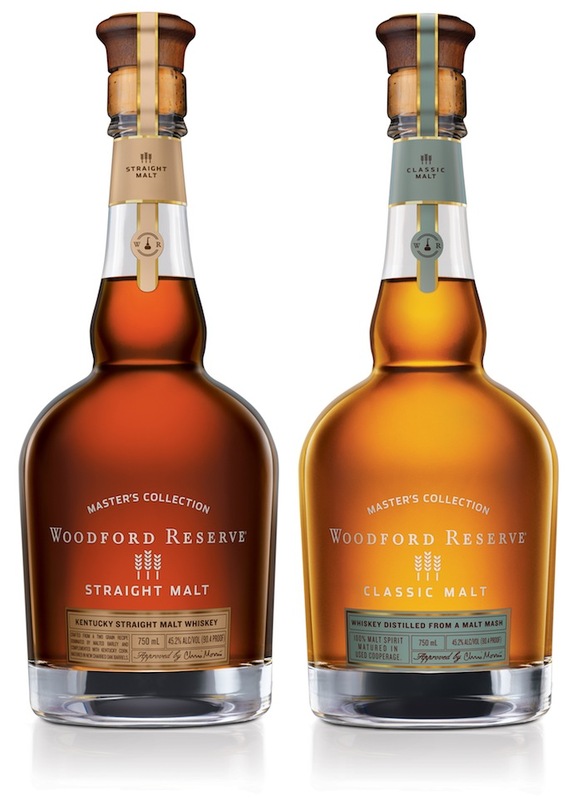 The Double Malt Selections mark the eighth release in the Woodford Reserve Master’s Collection series following Four Grain, Sonoma-Cutrer Finish, Sweet Mash, Seasoned Oak, Maple Wood Finish, Rare Rye and Four Wood offerings. Released periodically at the master distiller’s discretion, the Master’s Collection whiskeys are extremely limited in quantity and bottled only once.